Every day there are so many order comes in E-Commerce website. To see full order details of the customer is a tedious process for store admin. Store admin needs to open order detail page to view full order details of the customer. 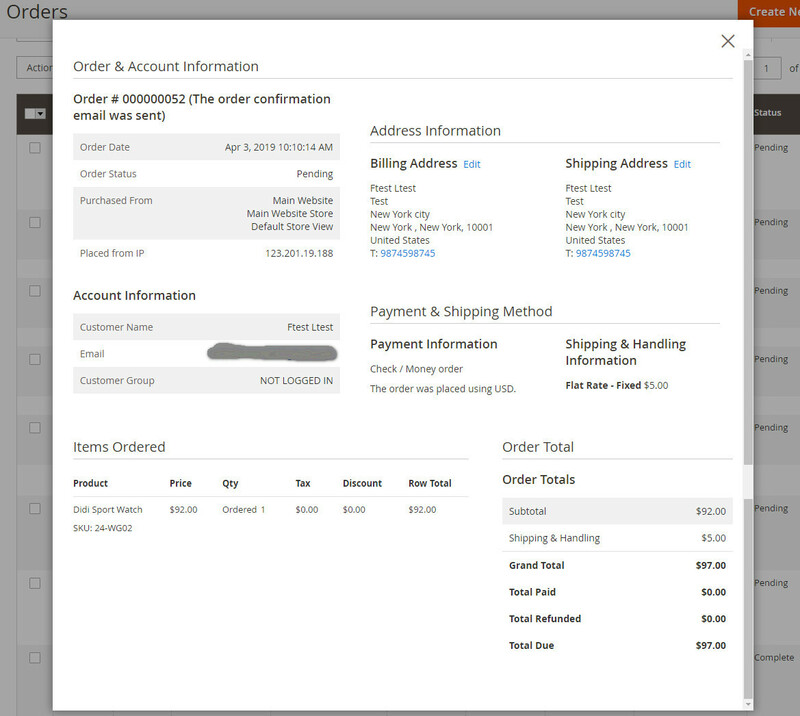 Our Admin Order Quick View Magento 2 Extension helps to view order detail of the customer in a nice popup from admin panel sales order grid. Use this extension admin can easily view order detail of the customer. 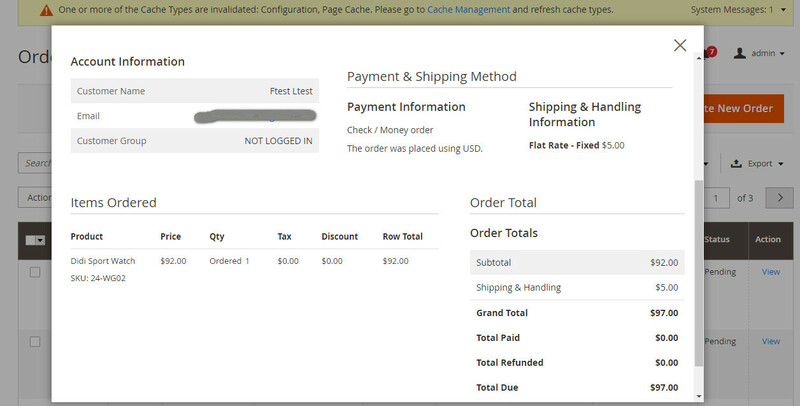 Just one click on the quick order button and it shows order detail & account information of the customer in a popup. 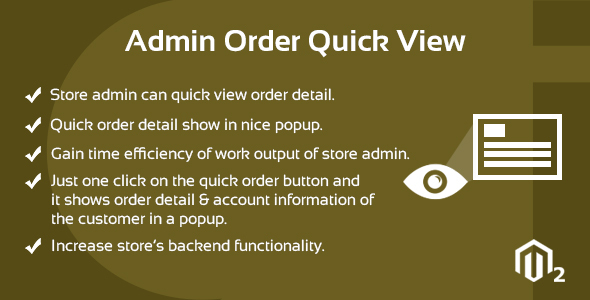 Magento 2 Admin Order Quick View Extension gain time efficiency of work output for store admin. 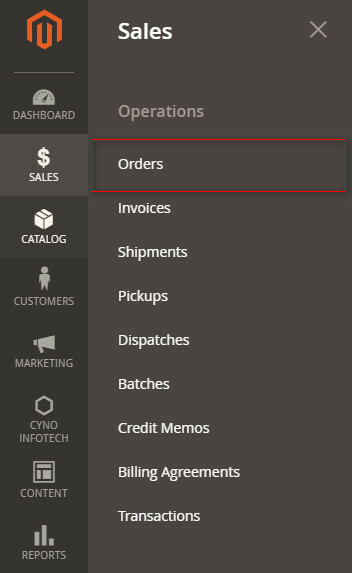 Store admin can view account, address, shipping, payment gateway, product information, order total etc…of customers order on just click on the quick order button. This extension helps to increase magento2 store’s backend functionality.